Graham’s influence extended to Washington, “where he counseled presidents for half a century, beginning with Dwight Eisenhower,” said The Wall Street Journal. 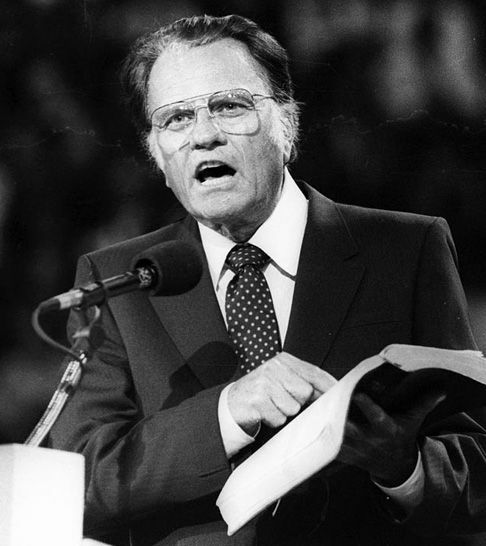 Nicknamed “America’s pastor,” he prayed at Ronald Reagan’s bedside after the president was wounded in a 1981 assassination attempt, spent the night at the White House with George H.W. Bush on the eve of the 1991 Persian Gulf War, and led prayers at Bill Clinton’s 1993 inauguration. George W. Bush credited Graham with turning him away from alcoholism. But he was closest to Richard Nixon, said Reuters.com. “It turned out to be a painful relationship for Graham,” who defended Nixon deep into the Watergate scandal. He issued an apology in 2002 after audio tapes from the Nixon White House were released in which Graham was heard agreeing with Nixon that Jews in the media were sending the U.S. “down the drain.” Graham’s relationships with those in the White House helped him spread his message around the world: He delivered sermons to a racially integrated audience in apartheid South Africa and twice visited the Soviet Union in the 1980s.